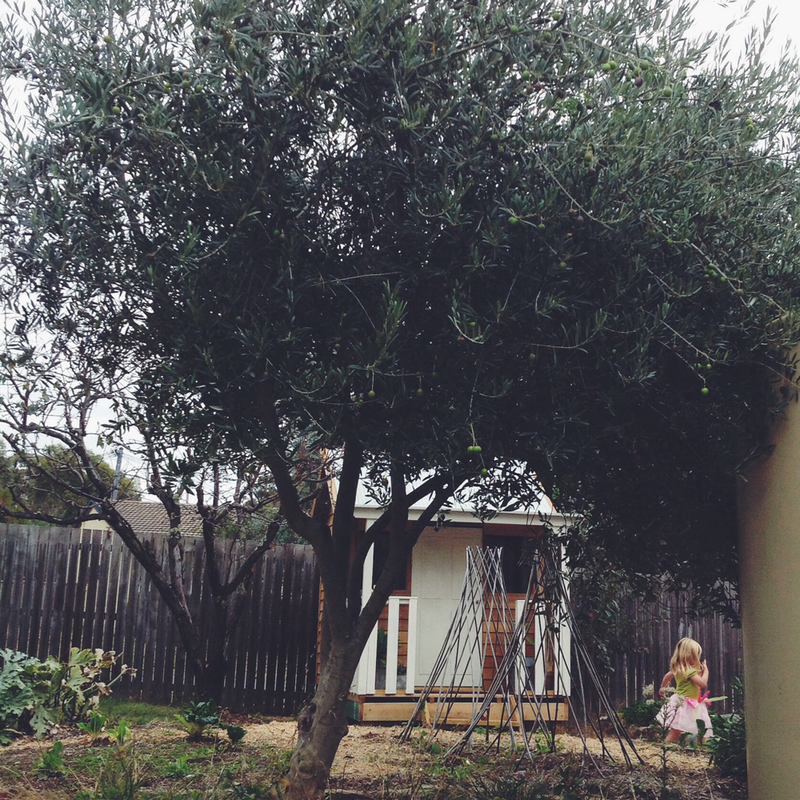 We quite unexpectedly had a big crop of olives from our olive tree this year. The summer was wet and mild so I was sure we'd get none. 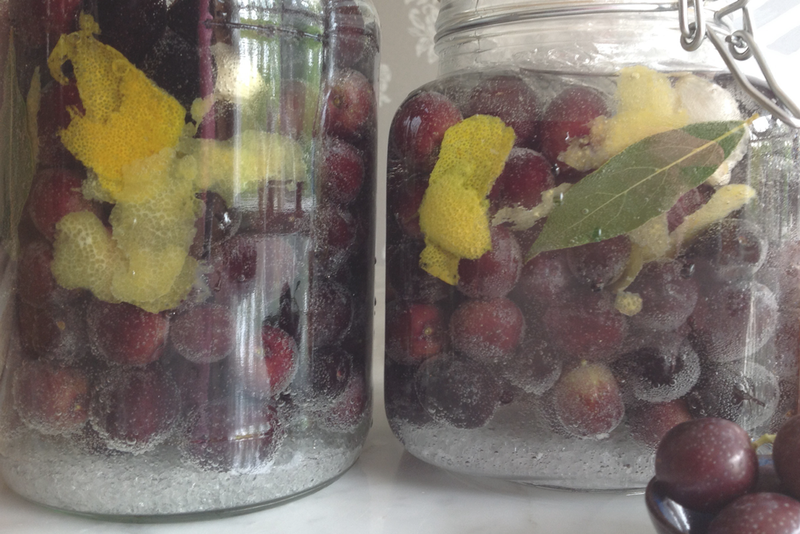 This is my first go at curing olives. Raw olives are besgusting. 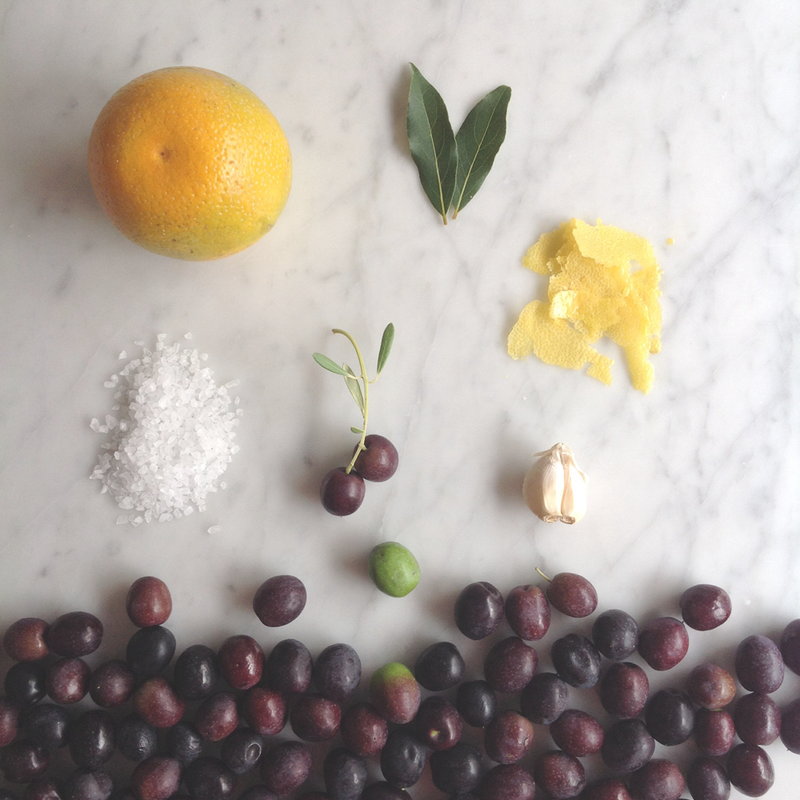 I have no idea how anyone ever figured out that olives had so much potential. Then I learned the difference between water-curing and brine-curing. I'm certain that someone tried them raw and they were so inedible they put them in a bowl and forgot about them. Weeks later the taste was less terrible and so the process evolved. Water-curing is supposed to be quicker but you have to cut each olive and change the water they are in at least daily. When you change the water you are taking away the bitterness that leaches into the water through the cuts. After about a month of this kind of daily newborn coddling, you can then put them in a brine. Brine-curing is slower but easier. 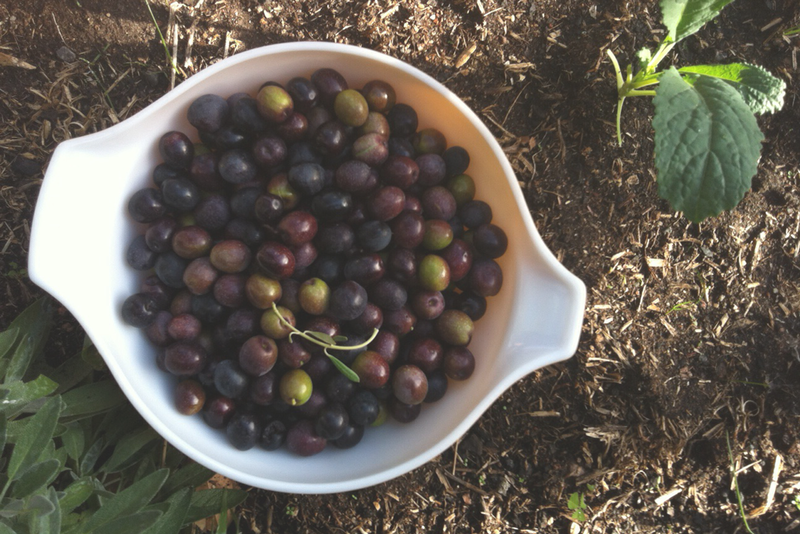 You pick your olives in the autumn and you won't eat them until the following spring. You don't have to change the water nearly as often. It's more like making wine. A Hungarian friend living in Portugal imparted this recipe to me. I can't wait to see how it goes. 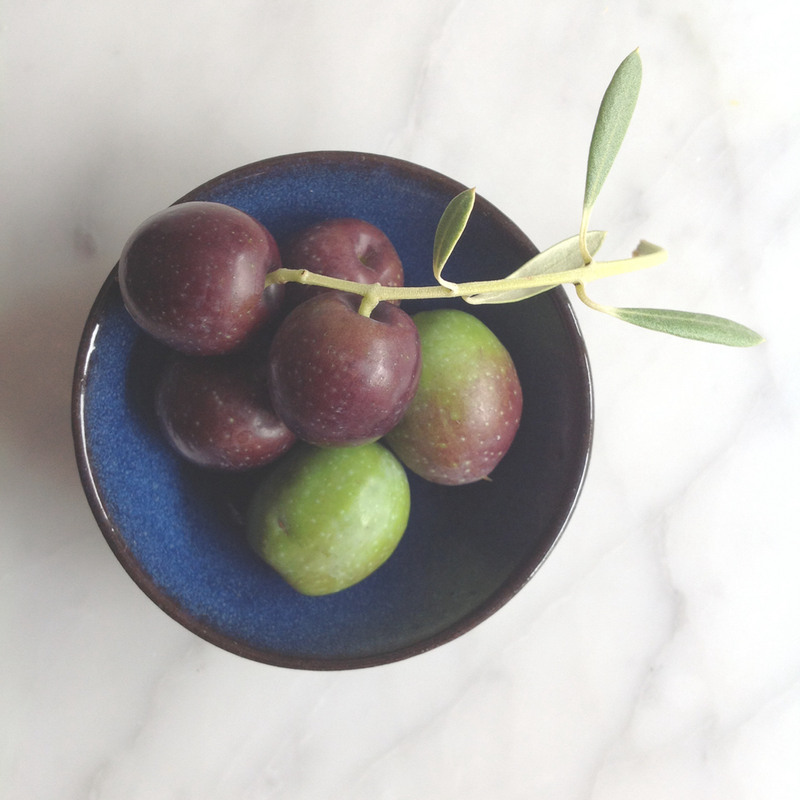 Fill a lidded jar 2/3 of the way with olives. Don't wash them, or you risk removing the natural yeasts on the outside. Fill to the top with the brine (salt and water combined). Add flavour - definitely bay leaves and even orange and lemon rind and a bit of garlic. You then need to make sure the olives stay submerged under the brine by pushing them down with a little bowl, cheesecloth or some scrunched glad wrap. Put in a dark cool place like the fridge. They are going to ferment now and the bitterness will break down. About once a week check them. Change the brine about every month when the brine is really dark.